Click on any of the links to the left to find out more about a specific course. If you have any questons, please email support@selfascension.com. Experience the love, power, and miracle that is Avesa in a multimedia program that will attune you to the lineage and healing energy of Avesa and be certified to offer In-Person Avesa Balancings. Whether you are a practicing healer or one who simply wishes to call forth the healer within, being certified as an Avesa Balancing Practitioner empowers your Divinity with greater service! Let go of everything you ever thought you knew about numerology, birth dates and astrology, as you open the door to the Ancient Mystical blessing of Ascended Numerology! 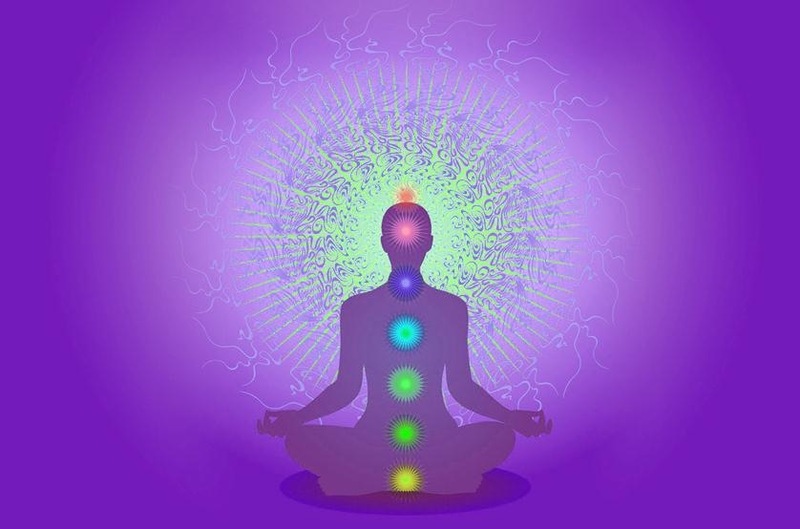 Acquiring advanced Avesa techniques and mastership attunements, step back into and learn the Atlantean Healing Chamber™, an energetic chamber that offers a quantum cleansing effect and molecular realignment to accelerate personal evolution on all levels of being. This powerful, ancient healing modality has not been on Gaia for thousands of years. After many years of successful experience as a psychotherapist, highly sought after Medical Intuitive and Spiritual Teacher, Sri Ram Kaa was called to teach this unique protocol. In conjunction with the dynamic skills of Quantum Clairvoyance as gifted through Kira Raa, this highly effective and uplifting program combines the blessing of Avesa with the direction and guidance of the Archangelic realm into an unparalleled experience that will forever lift your perception of healing, wholeness, true vitality, and health! These 10 simple, yet in depth, written and audio lessons provide a proven path for resolving egoic dependency and anchoring your awareness in ever-refining levels of Peace, Love and Joy. As part of the course, you also select a personal Certified Self Ascension Coach as simply a touchstone or to provide more personalized coaching. Whether you are just opening to the amazing multi-dimensional being you are or have been on a spiritual path for decades, the Inner Matrix will propel you to even higher levels of consciousness. ALL ANSWERS are within us! Quantum Clairvoyance is the connection gained through the experience of our expanded consciousness without self-doubt. This applies to everything without limits. By fully embracing our authentic potential and accepting that it is the birthright of every individual to clearly understand their life, we become profoundly abundant in all ways. Fully claim your life purpose and free others to do the same! Learn the secrets and techniques for a successful practice! A 10 Day Practitioner Immersion Program that will fully prepare you to set up your own practice plus feel confident and successful as you do! Imagine waking up each day loving what you do! This immersion process will also energize your “inner magnet” to attract the clients and people around you to be fully supported while doing it. Includes the Cosmic Life Regression Home Study FREE! Imagine offering this ancient mystical gift while expanding your practice as a Certified Cosmic Life Regressionist! Lear how to help your clients safely and easily release doubt, fear and ALL that no longer serves as they remember and reclaim their divine mastery. Integrate the jewels of your full empowerment and become certified to offer this profound process. Enjoy and intimate training setting as well as close bonding within the small group. This is a truly sacred journey that offers life-shifting expansion! Now available as a multimedia Home Study course. 11 modules which can be completed in 5-7 days, with videos and PDF text. Avesa Energy Balancing opens the pathway to a Mystical Journey of Divine Connection. Truly POWERFUL and RESTORATIVE! Gift yourself with the mystically unique and powerful experience of Avesa Energy Balancing Training which evolves according to your energy as you move forward with Sri and Kira together with the Archangelic Realm. It is your moment to allow the release of all blockages and open your Divine Portal of Joy. Avesa is a profound personal expansion journey as well as anextraordinary healing protocol. It is an attunement to a way of remembering your own Divine roots. Students report completing the Avesa experience feeling energized, connected, and full of love, wisdom, and radiant bliss. Avesa Balancing Training is a profound gift that opens the doorway for your greater expression of activated love and light in the world. Fully activate and expand your own conscious connection to divine guidance. Gift you with Mystical Archangelic Yogic techniques to balance and harmonize yourself and others. Provide a gateway to multi-dimensional realms where you will fully align with your Soul Path. Call forth your Quantum Visioning and your ability to decipher what you see. Clear away mental chatter so you can discern true guidance from egoic messages. Enable true communion with your Soul at anytime. Allow you to live your life from an entirely new perspective and frequency as you assist others to do the same. Establish you as a powerful co-creator with the energies around and within you. Reawaken and reactivate your Divine Mastership. *Tuition for all electronically delivered home study courses is non-refundable and non-transferable. Imagine unlocking the inner wisdom contained within the code of your soul! What would it reveal to you? What would it confirm? What would you do with this extraordinary information and insight? Ascended Numerology offers you great keys and sequences that have not been previously available to be taught. Avesa Mastery Join Us: December 29, 2018 to January 3, 2019 Are you ready to go beyond what you think is possible and take a major leap into your own consciousness? (Click Here to learn More) Are you ready to reconnect and live with your playful child as well as your powerful, all knowing Master? After completing Avesa Energy Balancing Training and experiencing the many miracles that come forth in your life, is your heart calling you to take the step of Divine Empowerment that cleanses out all remaining past life imprints and fully aligns your soul with the mission you are here to complete? If the answer is yes, now is your opportunity to honor your soul by learning the Atlantean Healing Chamber™, an energetic process that offers a quantum cleansing effect and molecular realignment to accelerate personal evolution on all levels of being! Currently offered only through in person training, the Atlantean Healing Chamber™ is a Divine Empowerment and your Sacred Birthright! It is your heart that will call you to reclaim a process that you already know. It is in your heart! It is in your DNA! Are you ready to activate it? This powerful, ancient healing modality has not been on Gaia for thousands of years. THE MOST POWERFUL ENERGY HEALING EXPERIENCE ON THE PLANET TODAY! The healing talents and awareness you have inside are truly amazing--we invite you to fully reveal these gifts by continuing your Avesa Training with the unparalleled Avesa Medical Intuitive Program. Next offering is in December 2018. To learn more, please click here! You will learn the Atlantean Healing Chamber plus Atlantean Laser Reiki at this powerful event! After many years of successful experience as a psychotherapist, and highly sought after Medical Intuitive and Spiritual Teacher, Sri Ram Kaa was called to teach this unique protocol. In conjunction with the dynamic skills of Quantum Clairvoyance as gifted through Kira Raa, this highly effective and uplifting program combines the blessing of Avesa with the direction and guidance of the Archangelic realm. The Avesa Medical Intuitive Program is powerful. Learning this program will forever lift your perception of healing, wholeness, true vitality and health! Full professional certification is offered as one of the options that supports YOU in becoming a cutting edge Medical Intuitive and Holistic Health Consultant. As a certified Avesa Medical Intuitive, you are offering your clients insightful Intuitive Scans and true Quantum support that transcends the experience ANY other modality. Click Here 2019 AMI Class Description to download a descriptive pdf with the 2019 offerings. hurry, Classes start in March and attendance is strictly limited Please email support@selfascension.com with your questions. Why you chose this planet. To Learn More and Enroll is this liberating Home Study Certification Program, click here.